Experience Boston Harbor Islands National Park! ON A SAILBOAT you can take in the splendor of the 25 islands established as a reserve, just outside of the downtown Boston waterfront area! My main mission when sailing is to "spend quality time with my friends in nature" -- sailing for me is about taking the TIME TO ENJOY NATURE and LEARN HOW TO UTILIZE NATURAL FORCES FOR RECREATION. We sail in Boston Harbor for six months of the year, from Mid-April unitil Halloween Weekend in October. I personally train every person in my crew in boat handling, water safety and navigation. To assist enlistment in my crew, I want this website to help my friends know what it is like to sail on Boston Harbor. My goals are to introduce them to the types of boats we sail and the typical situations we are in. I would like to have crew contributed photos to make the visuals more familiar. I want to include vital decision support resources, such as the weather conditions report for that day. I have a page on sailing safety to show why we need safety equipment and life preservers. I want to include a video on how to choose the best personal floatation device. I have added a table of my favorite marine vendors to help my crew get quality equipment at good prices. I have a page on what to bring, to cut down on my need to explain and to serve as a packing list for my crew. I have linked to an outside blog page to show what someone typically packs in their sailing bag. 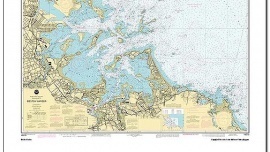 I have a page which shows a chart for Boston Harbor, and a iframe link to the google map for the Boston Harbor Islands. I now have a sign-up form, on the home page, allowing the interested sailors to indicate their availability through a check-box form. I would like to have a crew schedule, showing when there are vacancies in the crew for sailing days. Completed first and second code challenges on 1.25.2013 -- still catching up, and passed the first quiz at 100%! Completed third code challenge on 1.25.2013 and now only one half a module behind -- got the map and video embedded on different pages, and completed the meta keywords and meta description. Should be able to do the CSS Fundamentals and complete fourth coding challenge tomorrow! 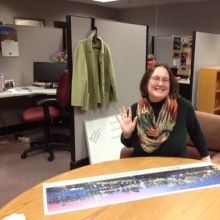 Just Finished fourth code challenge on 1.26.2013 -- 24 hours late -- but glad to be caught up! Finished code challenge #6 on Feb 2 -- this went much faster than the previous challenges, mainly because I had an element that needed absolute positioning in my design. Took the Quiz #3 and got 80 percent at first -- the wording of the questions threw me -- but I got more clarity by taking the quiz. On to Week 4 and the final code challenges!